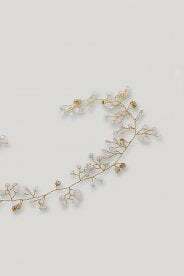 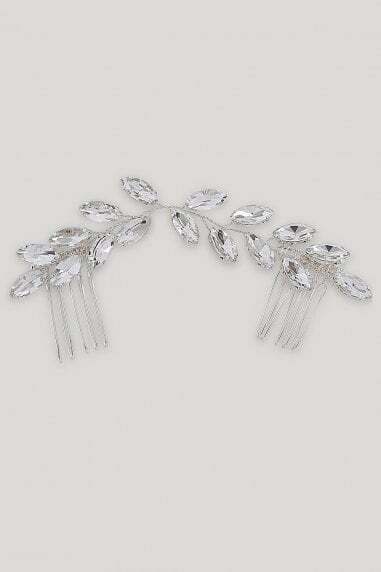 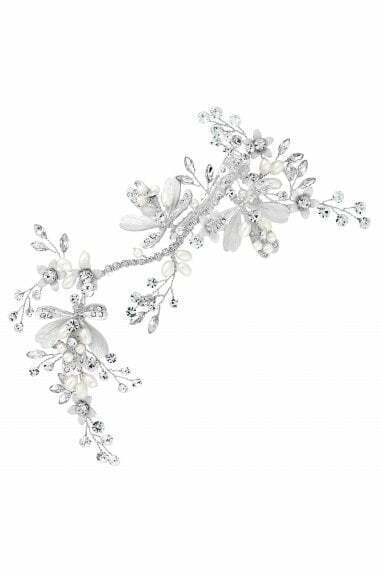 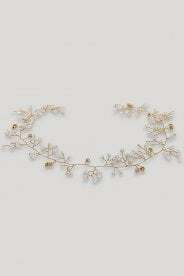 Delicate hair vine on a malleable dainty wire in gold tone finish. 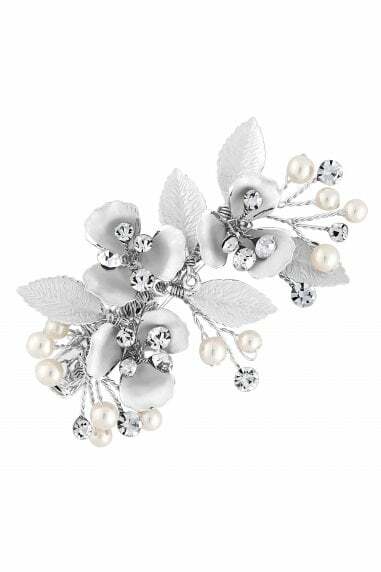 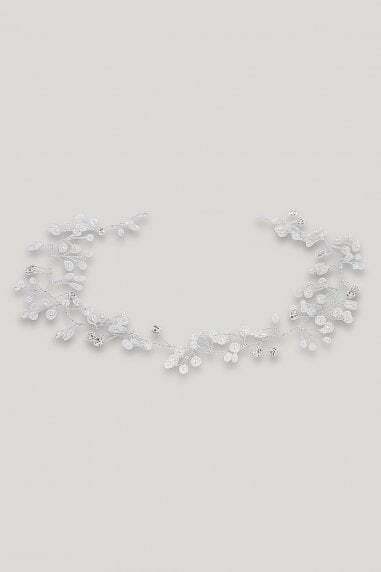 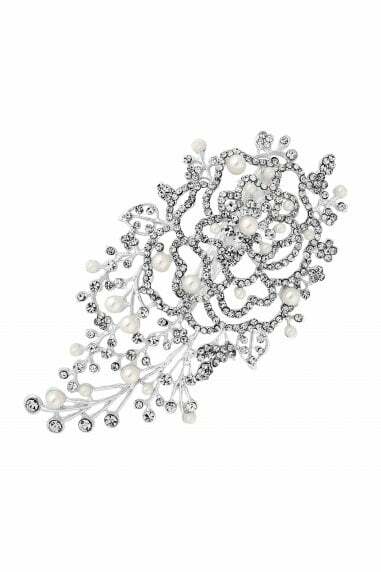 Adorned with faux pearls and diamantes. 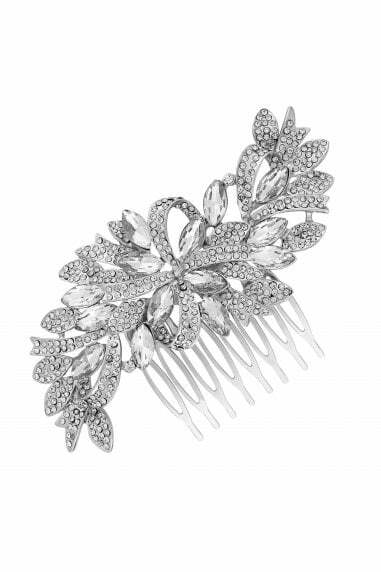 Loops at each end to secure into place using hair grips or ribbon.